Sonos had a few solid sales available this past Black Friday and Cyber Monday, but they were nothing compared to the deals that the world’s top smart speaker maker just let loose for Super Bowl 53. 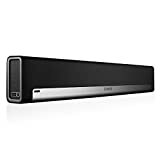 For a limited time beginning right now, you can save a whopping $100 on the Sonos PlayBar TV Sound Bar as well as the Sonos PlayBase. 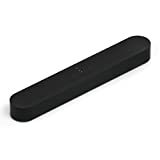 The more compact Sonos Beam Sound Bar with Alexa is also on sale, and you can save $50 on this awesome speaker. 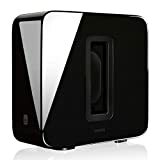 The Sonos SUB is a must-have with either of those speakers if you really want to feel each and every hit during the big game, and it’s $100 off during the sale. Finally — and this isn’t part of the official Sonos sale — Amazon’s hidden deal still lets you snag two Sonos Play:1 speakers for just $298, and you get a free $30 Amazon gift card when you do.